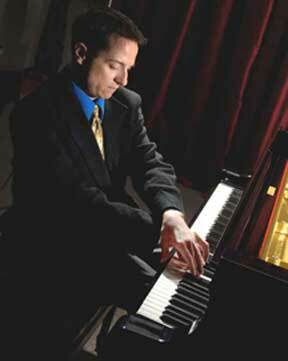 Brett Bachus, a life-long musician, founded Bachus Conservatory in 2007. Mr. Bachus began teaching at 11 years old. From a young age he had a passion to share his joy in music and show others how to play and perform. He taught music privately in his home, in the homes of his students, in several Montessori schools and in local music schools. Mr. Bachus has performed as a soloist and in concert with ensembles and with orchestras in piano and cello. He was the piano soloist in the Piano Concerto No.3 in d minor Op. 30 by Rachmaninoff at the Scottsdale Center for the Arts in Scottsdale, Arizona in 1992 and the cello soloist in the Dvorak Cello Concerto with the Scottsdale Symphony Orchestra. In 1995 he was a finalist in the Fifth National Chopin Piano Competition held in Miami, Florida. He frequently plays piano for musicals, choirs, singers, opera scenes, competitions and weddings. He has organized numerous ensembles and formed 2 full orchestras. As an experienced teacher and performer, Mr. Bachus had the desire to provide performance experiences and opportunities for his students, so opening his own music school was inevitable. When he hires music teachers, he looks for the same passion and desire for quality and excellence in teaching and performing. Sue Bachus is Brett Bachus' mom and business partner. She is passionate about her son's passion and takes care of all the office management leaving him to do what he does best. She maintains student records and takes care of the odds and ends of the business. The Bachus Center www.bachuscenter.org was formed separately as a 501(c)3 non-profit organization to help finance the music education of students from low-income families. The center's programs accept instruments, such as pianos, violins, cellos, flutes, etc. and accessories, such as music stands and sheet music. Monetary donations are used for instrument maintenance and to pay local teachers to provide music lessons for scholarship students. The Center's new lending library is in need of sturdy wooden bookshelves, a Mac-mini to run the Mac-based library software, and an iPhone 4s or higher to scan music bar codes, which uploads to the library software.